Other Ingredients: Soybean Oil, Gelatin, Vegetable Glycerin. Contains <2% of: Natural Caramel Color, Soy Lecithin, Titanium Dioxide Color. Contains soy ingredients. Milk Thistle 1000mg is rated 5.0 out of 5 by 17. Rated 5 out of 5 by Kimmie from Mike Thistle 1000 mg worth taking I started taking these to help with detox of liver. I have been taking for about a month with Ultra Woman Sport Multi Vitamin & they both work for me & I do feel better. Rated 5 out of 5 by Cesar from Awesome product Excellent product, I felt better, it's free glute and organic, thank you guys. Rated 5 out of 5 by Anonymous from Great herb This herb works beautifully. I am thankful and grateful. Rated 5 out of 5 by azco77 from Great buy Will be buying again. Thank you! Rated 5 out of 5 by mramos from Seems like a good product, great price See title. Happy about purchase. Will buy again. Rated 5 out of 5 by Margo29 from Excellent product! 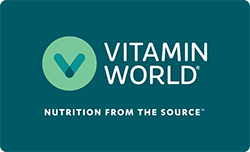 I couldn't find Milk Thistle for 1,000 mg anywhere, so my daughter-in-law told me to check Vitamin World to see if they carried it and sure enough you had it. I have been buying it here ever since. Thank you! Rated 5 out of 5 by Betsy from Excellent Product We are very happy with this product, just like with all Vitamin World products.